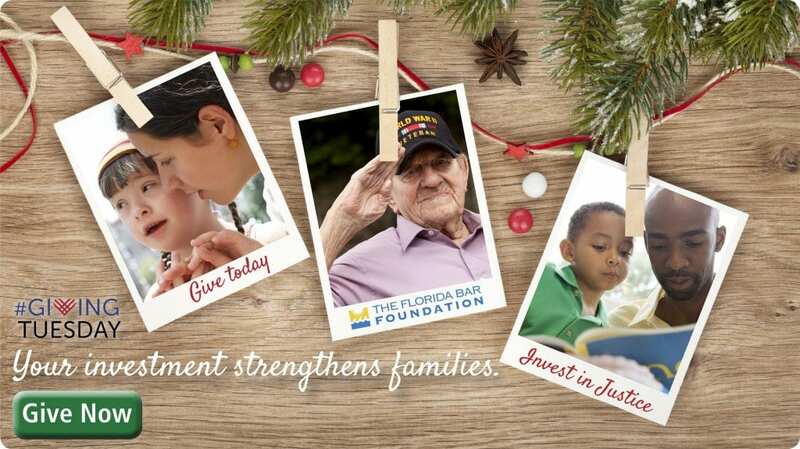 What: The Florida Bar Foundation’s campaign for #GivingTuesday, the national day of giving. When: November 27, 2018, just after Thanksgiving, Black Friday, and Cyber Monday. Why: Giving access to justice changes the lives of the underprivileged and underserved by giving them a voice in our legal system. How: Donate online today through November 27 and spread the word on social media. Who: You! A donation from you can impact the lives of many by #GivingAccess to justice on #GivingTuesday.